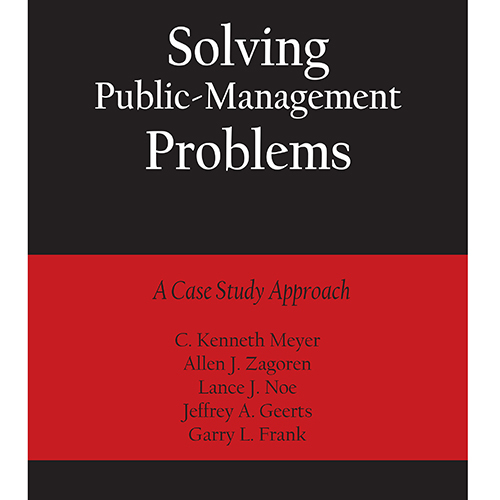 Conducting the People’s Business: Issues, Dilemmas, and Opportunities is designed to enable learners of political science, public affairs, public policy and administration to put the theory of their field into practice. 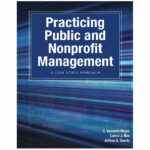 It is an essential resource for bringing to life these contemporary and salient issues: Green urbanism, coproduction, organizational change, constitutional issues, such as speech, religion, race, gender, association and privacy, quality of life, risk management, eminent domain, trust, and leadership. As a peer reviewed book, it received rave comments for its content, comprehensiveness, relevance, and style of writing. Conducting the People’s Business has international appeal because the challenges of bureaucracy are global. These well written case studies address wider perspectives, offer specific illustrations in the context of global views, combine varieties of the general to the particular. This book enjoys a long shelf life. What I mean by that is the contexts of these cases last past any generation of readers. In 50 years, this volume will be consulted. These well written case studies address wide perspectives, offer specific illustrations in the context of global views, and combine varieties of the general to the particular. 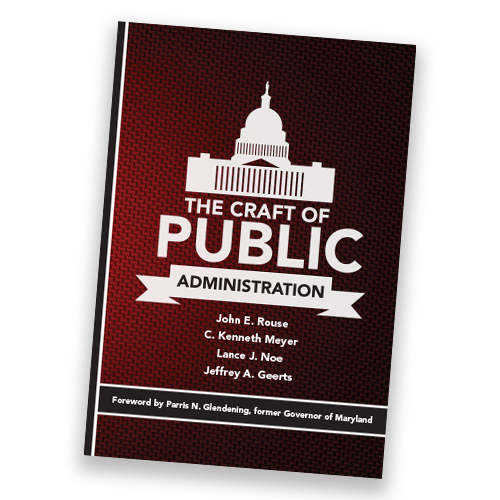 This book even has international appeal because the bureaucracy challenges it addresses are universal. Overall, it addresses real-life situations in a timeless creative way. More than 190 diverse convetional and contemporary topics are covered across the 45 cases included in Conducting the People’s Business. 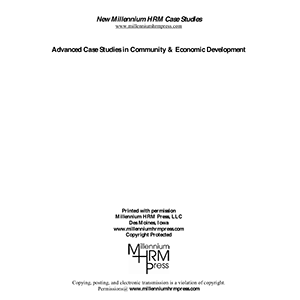 The concepts embedded in these case studies range from those which are commonly faced — centralization, time management, ethical dilemmas, responsibility, leadership, delegation of authority; to those which are reasonably 21st Century in terms of their freshness and popularity today — image management, wellness programs, eminent domain, work-life balance, inter-generational issues, emergency management, sustainability, employee rights, worker dignity, contract negotiation and contagion theory. 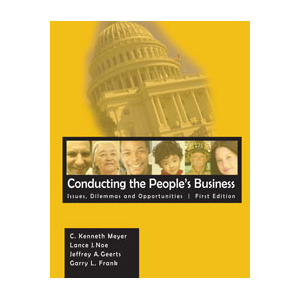 Be the first to review “Conducting the People’s Business: Issues, Dilemmas and Opportunities” Click here to cancel reply.